The Commit to Fit! 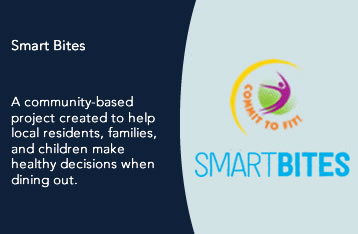 Smart Bites program is a new community- based project created to help local residents, families, and children make healthy decisions when they dine out. Commit to Fit! Smart bites and restaurants work together to identify and promote healthy foods and beverages and reward residents when they make smart menu choices. A Commit to Fit! Smart Bites program representative from our community will work with restaurants to review menus and identity healthy options. Once these options are selected, participating restaurants will be provided with marketing materials to promote healthy menu items. When a community member visits a Commit to Fit! Smart Bites program restaurant and selects a healthy menu option, they will be rewarded with a discount determined by each restaurant. Community members will also be eligible for incentives by participating in the program. 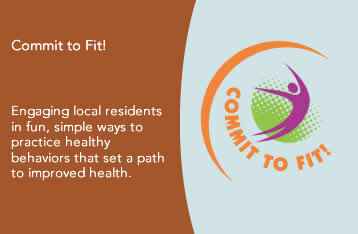 Community members can pick up a Commit to Fit! Smart Bites card at participating restaurants and Flint Farmers’ Market cooking demonstrations. When a resident selects a Smart Bites program new item at a participating restaurant, they receive one sticker per visit regardless of the number of items selected. Each restaurant receives a unique Smart Bites sticker that helps track residents and restaurant participation. The Commit to Fit! Smart Bites program will be showcased throughout our community, in the press, and on commit2fit.com, among other places. Restaurants will receive Commit to Fit! Smart Bites program marketing materials for in-house display, and Commit to Fit! Smart Bites program restaurants will be regularly promoted within the community- reaching thousands of potential patrons. The Smart Bites program creates business and expands your customer base and builds your reputation as a business that cares about its community and its residents. YOU will have a dramatic impact by helping families choose healthy and eat smart. 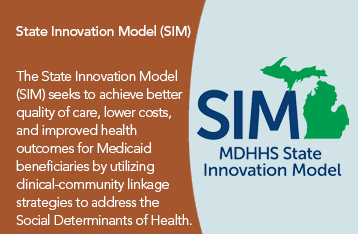 Our community has the opportunity to shape the future of the Smart Bites program, potentially impacting the healthy of people nationwide. Contact the Smart Bites program representative from your community to join the program! In life, we plan for many things. We prepare for our retirement, plan trips, and save money for our children’s education. Yet, we often forget to plan for our future healthcare treatment. No one can predict when a sudden illness or accident may occur, leaving a person unable to make personal healthcare decisions. Advance care planning is about ensuring that the healthcare treatment you receive is consistent with your wishes and preferences. It’s a gift to you and your family that promotes peace of mind. 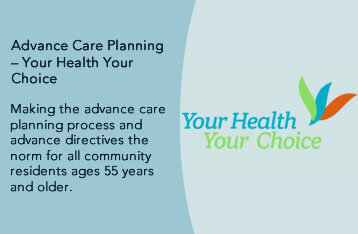 Advance care planning is the process of coming to understand, reflect on, discuss, and plan for a time when you cannot make your own medical decisions. Effective planning is the best way to make sure your views are respected by your loved ones and health providers. This process provides great comfort to those who may make end-of-life decisions for you. Your Health Your Choice is provided as a free service to the residents of Genesee County. 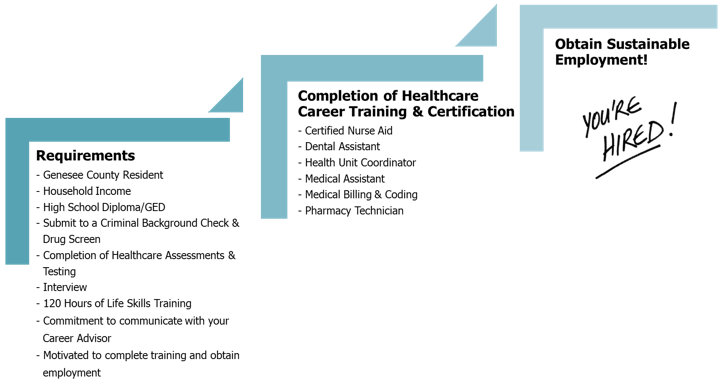 First Steps® certified advance care planning facilitators are available at no cost to meet with individuals and guide them through the ACP process. ACP facilitators help you to reflect on and document your end-of-life healthcare wishes and preferences. They help make sure that those wishes are shared with your family, loved ones, and healthcare professionals to ensure that they are honored when you can no longer speak for yourself. To find out additional information or schedule an appointment to complete an advance directive or review your existing advance directive, please visit www.yourhealthyourchoice.org. 1. How social determinants of health in one’s community can impact their health and well-being. 2. What resources are available for residents to take advantage of in their neighborhood or community. 3. How they can take action to improve social determinants (where we live, learn, work and play) of health in their respective neighborhood or community. 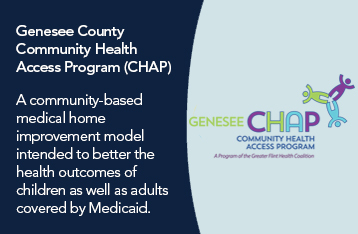 Health Happens Here – Genesee County & Flint is based on a best practices model previously implemented through the California Endowment which informs residents of differences in average life expectancy in various local zip codes as one tool to engage residents in action. Community-based marketing provides powerful messaging to raise awareness of the social determinants (where we live, learn, work and play) of health and the resources available to improve health in the community. 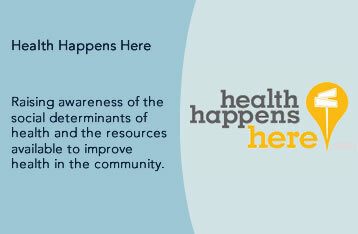 The Health Happens Here program supports local residents in improving health behaviors by encouraging participation in existing health-related resources, programs, events, and other activities that support individual and community well-being. 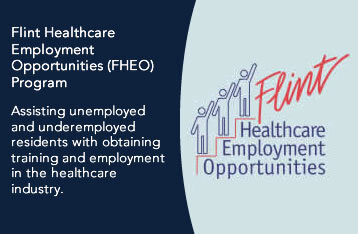 As an online resource, www.h3genesee.org, is linked to a community calendar to include health and community-related activities, and includes a link to the “Health Happens Here Genesee County & Flint” Facebook page. The website also contains information on how residents can take action to improve health in their community (for example, an “Advocacy & Action” document is available to specifically outline ways that residents can contact legislators on health-related issues). 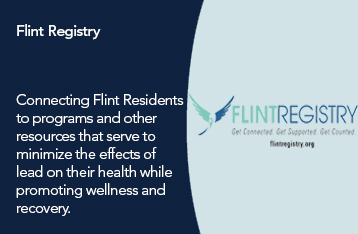 Fact Sheets for all communities/zip codes in Genesee County & Flint are offered as resources to residents, highlighting health-related statistics as well as resources related to each specific community where residents live, learn, work, and play.